Posted September 7, 2016 by Author & filed under Civil Rights, Criminal Justice, Drugs, Law Enforcement, News and Public Affairs, Uncategorized. On the first part of Radioactivity Tuesday we discuss Amendment 2, which would legalize medical marijuana in Florida, and the group who is opposed to it. Our first guest is Jessica Spencer, spokesperson for the vote no on 2 campaign, who says that the amendment language would down the road lead full legalization of marijuana with little regulation. Jessica Spencer has a PhD in Education in Organizational Leadership. She received her undergraduate degree in criminology from the University of Tampa. For the past six days there have been protests in the area near where a Hillsborough County Sheriff’s deputy shot and killed an unarmed black man Levonia Riggins who was a suspected marijuana dealer. Riggins was 22 years old and worked at a nearby convenience store.Black Lives Matter protestors blocked traffic the intersection of 78th St. and Rideout in the Clairmel section of Hillsborough County yesterday in a demonstration . The protestors want the officer who killed Riggins to be fired. 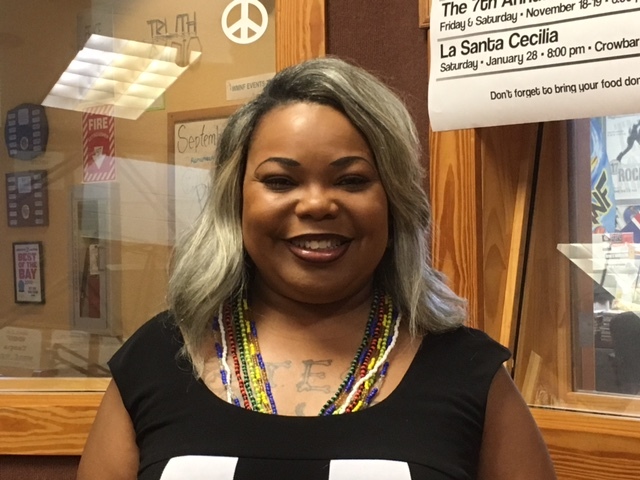 Today we were joined by Michelle Williams, who active in the Black Lives Matters movement, to talk about the protests and what happened Levonia.